Dr. Mohammed Alghoul performs nasal surgery through very small and concealed incisions to correct the undesired features of the nose, while preserving its identity, proportions and harmony with the rest of the face. 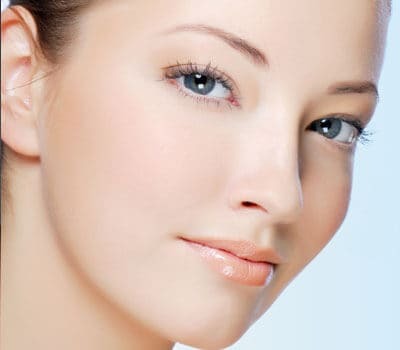 He has provided rhinoplasty procedures for countless Chicago cosmetic surgery patients and prides himself on providing high-quality results through state-of-the-art treatment techniques. Rhinoplasty is a surgical procedure that enhances the size, shape, and function of the nose. The procedure, commonly known as a “nose job”, is performed by shaving and sculpting bone and cartilage in order to contour the nose. The goal of rhinoplasty is to correct the undesired features of the nose while providing enhanced facial symmetry. The procedure can also correct structural problems that can result in breathing difficulty such as septal deviation. If you have previously broken your nose and it has caused a visible deformity or crooked nose then you may be a candidate for a septoplasty. Rhinoplasty is a cosmetic procedure that modifies the shape and structure of the nose. Septoplasty is strictly a functional operation that straightens the septum, which is the partition that separates both nasal airways. When the septum deviates towards one side it causes narrowing or obstruction of that airway and results in difficulty breathing. Septal deviation can be naturally present in certain patients or occur after trauma. Both septoplasty and rhinoplasty can be combined in a procedure called septo-rhinoplasty. The cost of a rhinoplasty will differ depending on the patient’s aesthetic goals and medical needs, but the average price ranges from $5,000 to $7,000. To receive a personalized price estimate, schedule a one-on-one consultation for nose surgery with Dr. Alghoul. Insurance does not cover cosmetic rhinoplasty. However, a deformity that results secondary to trauma or broken nose could be eligible for coverage. If the procedure is approved, the portion usually covered is the one related to fixing the hump or bump on the nose and broken or deviated septum. Septoplasty alone can also be eligible for coverage if septum deviation is causing breathing problems. Rhinoplasty is performed as an outpatient procedure under general anesthesia. If the procedure is performed to refine the tip of the nose then it can be performed under local anesthesia with sedation. After surgery the patient will have internal absorbable sutures and a few external permanent sutures on the skin bridge below the tip (columella). The permanent skin sutures are removed after one week. Two internal splints are placed inside the nose while an external splint is placed over the bridge of the nose to protect the nasal bone. All splints are removed in one week. Swelling and bruising of the nose and under the eyes is common and resolves over a period of one to two weeks. Swelling usually lags behind and can last longer. As the swelling resolves, gradually the shape of the nose continues to refine. If you’d like to schedule a consultation with Dr. Alghoul to discuss rhinoplasty, or other facial cosmetic procedures such as chin augmentation or lower eyelid surgery please call (312) 695-3654.